The Ukrainians also face a ban on travel to Russia in the next five years. 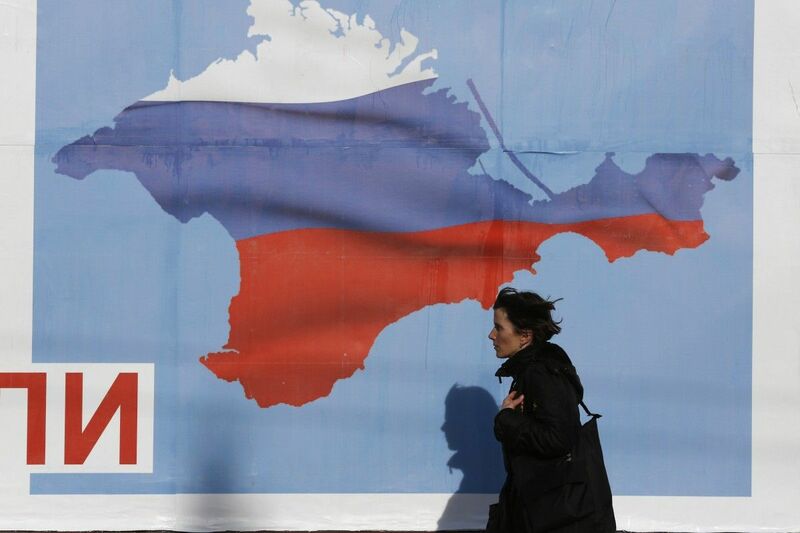 The so-called "Yevpatoria City Court" in Russian-annexed Crimea has ruled to expel 23 citizens of Ukraine from the peninsula for "working illegally." "Officers of the border department have established the fact of employment of 36 citizens of Ukraine in the Yakorek kindergarten in the village of Novo-Ozerne near the city of Yevpatoria," Crimea's Russian-controlled news agency CrimeaInform reported, citing the Russian FSB border department in Crimea as its source. Read alsoRussia's FSB claims it detains another "Ukrainian spy" in CrimeaThe de-facto Crimean authorities claim the employment was illegal, as it violates Article 13.3 of Federal Law No. 115 dated July 25, 2002, "On the legal status of foreign citizens." The news agency said that all the offenders had been made administratively liable as "foreign citizens or stateless persons working illegally in Russia." "In addition, 18 people were punished for violating the regime of stay in the Russian Federation. However, it was later revealed that the violations had been eliminated partially," it said. "Under a Yevpatoria court ruling, 23 Ukrainians were again held accountable under Part 3 of Article 18.10 of the Code of Administrative Violations of the Russian Federation: they were expelled from the country and banned from entering Russia in the next five years," it added.